George Clooney in NYC 4-4-16? An interview at the Carlyle? 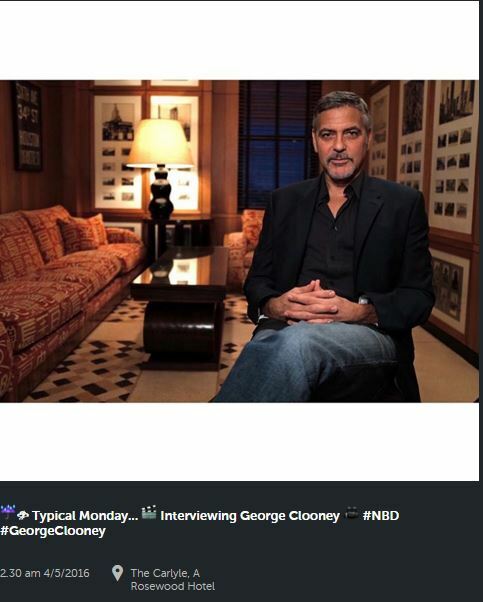 Re: George Clooney in NYC 4-4-16? I know there are those who don't like the face hair, but to me damn he is fine. He IS fine annemarie with... or without. I'm one of the clean shaven fans but George seems to enjoy this look because he keeps going back to it. Either way he's mighty fine. Above all its nice to see a new pic. It is nice to see him. I think he looks great with a beard. carolhathaway wrote: I think he looks great with a beard. Lol nearly choked on a raspberry carol, unfortunately for me my hubby can't grow a beard.